Unheralded Indian Subhankar Dey shocked multiple time World and Olympic champion Lin Dan 22-20, 21-19 to enter the quarter-finals of the SaarLorLux Open Badminton Championship in Saarbrucken on Thursday. The women, led by Saina Nehwal, produced a winning 4-1 result, while the HS Prannoy-led men whitewashed Australia 5-0 at the Impact Arena in Bangkok on Monday. 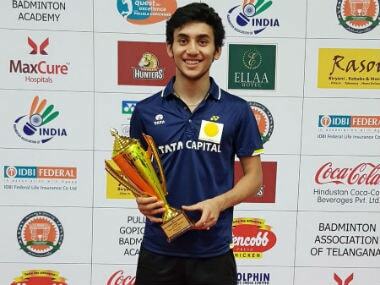 Rising Indian shuttler Lakshya Sen notched up a thrilling win over Malaysia's Yee Han Chong in the men's singles finals to defend his title at the India International Series.